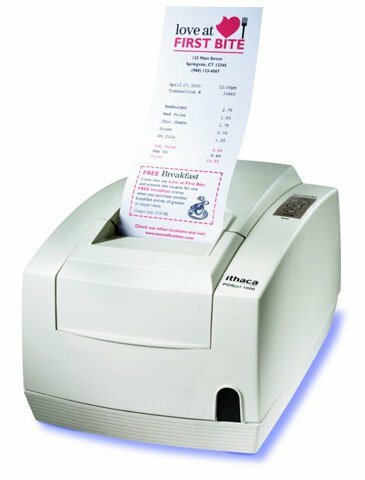 Ithaca POSjet 1000 - Inkjet, two-color, receipt printing, 12.5 lps, USB interface. Includes auto-cutter & power supply. Order cables separately. See accessories. Color: Dark gray. The Ithaca PJ1-USBC-2-DG is also known as Transact Ithaca	ITH-PJ1-USBC-2-DG	or PJ1USBC2DG	.